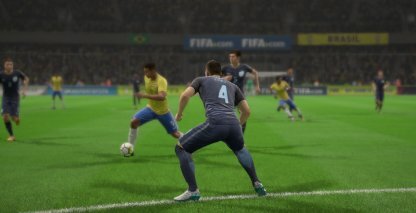 Check out different techniques to defend your opposition in FIFA 19. Learn different ways to prevent a goal & win back ball possession. Defending your opposition in FIFA can become a case of trial and error. 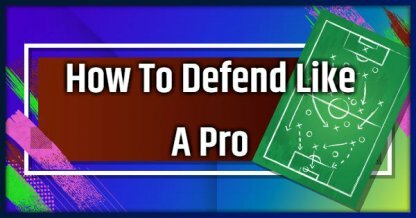 Learn more concrete ways on how to defend here and find your decide the best way to defend against the opponent's team! Since Football is a team sport, you will not be able to defend against a whole team using one lone player. Learn to switch players and easily defend against ball handlers! Change players often when defending against the opposition. This will allow you to apply constant pressure and can lead to traps that will let you steal the ball! There is a transparent icon on your teammate when you play a match, the one with the icon is the second player. Holding down the action button will let the second player move to apply pressure. When you want to give pressure to good players, the "Teammate Contain" option is very useful. Be careful as overusing this lots of space to your opponent, so pay attention to the spaces created by pressuring the opponent. Passing is an essential part of the game. Passing lanes are open areas that ball handlers can use to pass the ball to their teammates. Use the Jockey Stance to make it easier for you to intercept potential passes! *This is the control for the Jockey stance. Use this stance in passing lanes to easily intercept the ball. Use this technique when applying pressure to opponents, especially when they have crossed into your half of the pitch! The Jockey Stance is a very useful move when defending. However, it makes you move slower. Only use this stance when you are sure that there is a high chance you can intercept the ball. When an opponent receives a pass, this is called a trap. This is also one of the best moments to try and steal the ball, since your opponent and the ball is not moving at all! The table above shows the controls for the "tackle" action. You will also need to time your tackles to get the most out of this technique! This technique is best used when your opponent receives the ball. Slide Tackles are very useful in FIFA 19 even if they are a risky move. You should not slide tackle from the back of your opponent. Time your slide tackles to increase the chances of getting the ball! The table above shows the controls for the "slide tackle" action. You will also need to time your tackles to get the most out of this technique! When opponent cannot pass the ball due to your pressure. Or when predicting the opponent's next move. You must be very good at predicting since a wrong slide tackle could reward you with a yellow or red card!